Nancy Larson Science: Who should and shouldn't use it? You are here: Home / Science / Who Nancy Larson Science will Work for, and Who it Won’t! For the past year we have been using Nancy Larson Science as our official science curriculum for all three of our children. We have really loved every minute of it and closing up our book was done with a sense of both accomplishment and sadness. There are so many things I love about this program I wanted to share it with you. 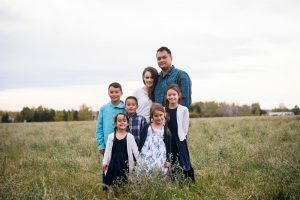 My overall thoughts on the curriculum’s strengths and weaknesses, what it offered our family, and what our last unit (all about bugs) was like! Make sure to pin this post onto your curriculum board so you can refer to it later! What was our favorite things about Nancy Larson Science? My hands down favorite aspect of this program was the fact that it could be used with multiple age ranges and abilities. I have 5 children in 3 different grades (3, 2, and 1) and we have been using this all together. 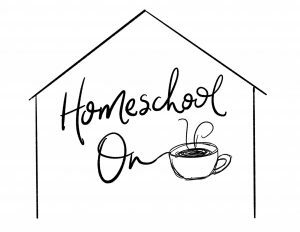 As a busy homeschool mom, I felt so much peace knowing that all the bases were being covered with the kids and not having to do a separate one for each child! It was easy to do the lessons and activities together and just have the kids write as they were able. We even had the older children take turns helping out the younger ones to make sure that it truly was a whole family experience! My second favorite aspect about the program is that it is open and go. There is little to no prep involved with the lessons each day and I was able to just open up our science book and read. I didn’t even have to paraphrase the lessons for the younger children as this science curriculum is scripted. Everything is written to that child’s level, which questions to ask them and where, what page they should turn to, no flipping through their book and mine… it was all there! I really did love that Nancy Larson Science took all the “thinking” over for me and gave me a complete curriculum. No photocopying, no running to the library, no searching for resources. I can sip a coffee and *enjoy* doing science with my kids. Who should buy Nancy Larson Science? If you have been considering this curriculum, I will tell you who I think this curriculum will work well for based on our experience. If you fall into one of these categories, I am confident you will love this program as much as we did! You have an auditory learner. 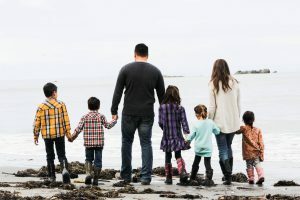 You have a large family and are looking for a curriculum that you can do together. You are looking for a comprehensive curriculum that is in-depth and yet created for your child’s developmental age. 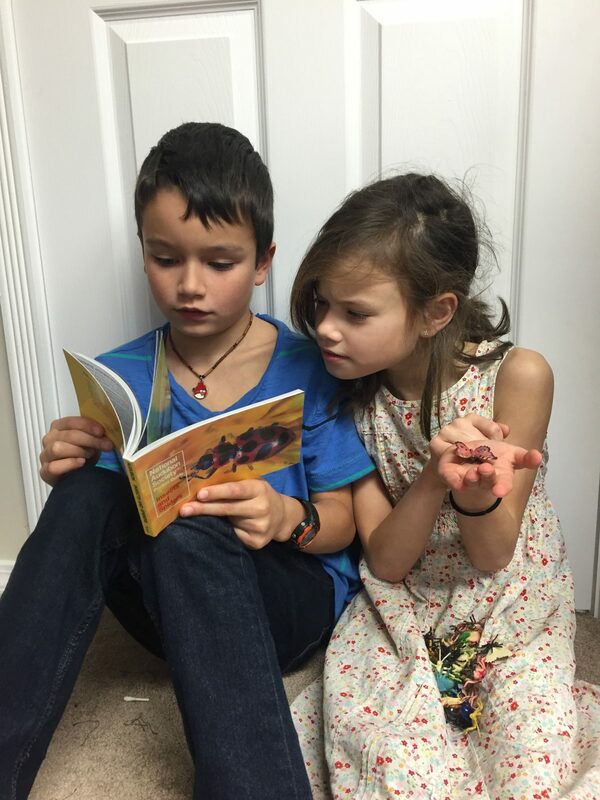 You like workbooks/traditional homeschooling/Charlotte Mason Style Homeschooling. You hate paraphrasing content to help your children understand. You are tired of late night prep (or last minute prep) before a science lesson. You want something all-inclusive with all your books, materials, resources, student booklets, etc. put together for you. You are busy and need something packaged and ready to go. You like scripted curriculum (written to your child, you read directly from the book). Who would this not work for? You are looking for something less structured. You are looking for something more experimental based. (NLS does have lots of hands on activities and some experiments, but it is definitely more structured). You like the visual aspect of textbooks. (While NLS has visual flashcards and picture cards and images on disc that go with the lessons, if you prefer to have those all directly in the textbook, it isn’t set up that way but rather uses multiple resources). Your child has a sensory processing disorder or has trouble sitting still. (NLS does have reading and actual one on one lesson time. If your child cannot sit still, or does not learn well through reading from a textbook, this may not work for you). Come see a Lesson in Action! If you want to see exactly how a lesson works, come check out one of our lessons in the video below! What we worked on this month. This month we learned all about bugs as we became little entomologists for the month! We had already hatched our butterflies the spring before when we started the program, you can watch how we fed our butterflies here. The kids had a ton of fun exploring their bug book that came with our Science 1 kit and matching them with the plastic bug collection that was included as well. 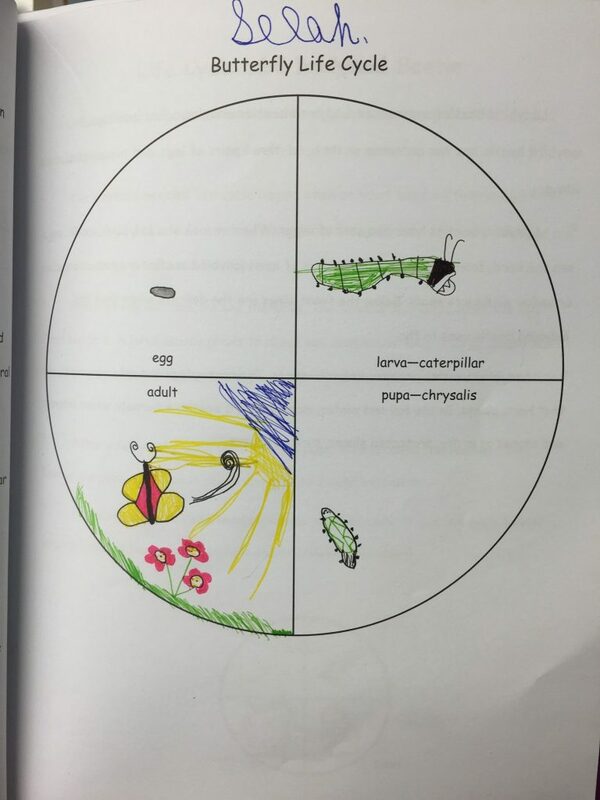 While we learned about butterflies, we talked about their life cycle and the kids drew the four stages into a wheel to visualize it. 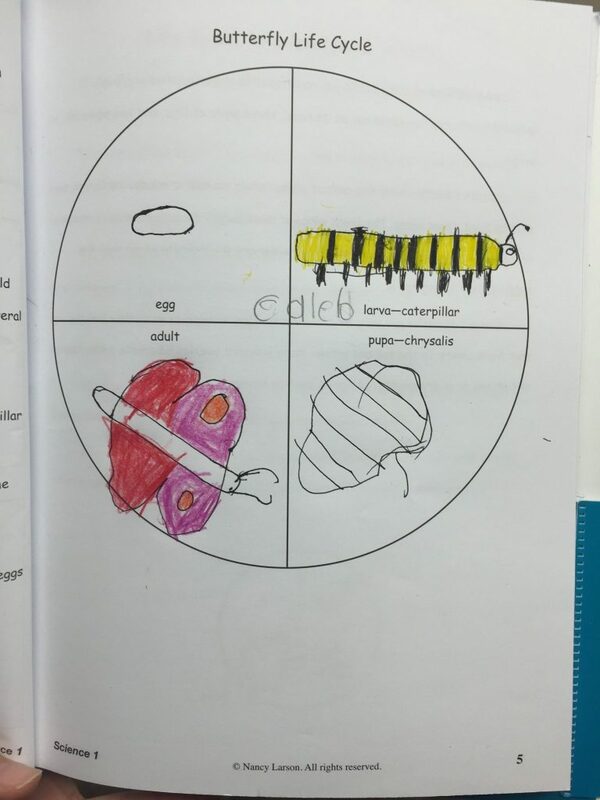 They put together a quick report about butterflies and presented it to the family (which is a great way to see just how much they know about the topic by the way!). 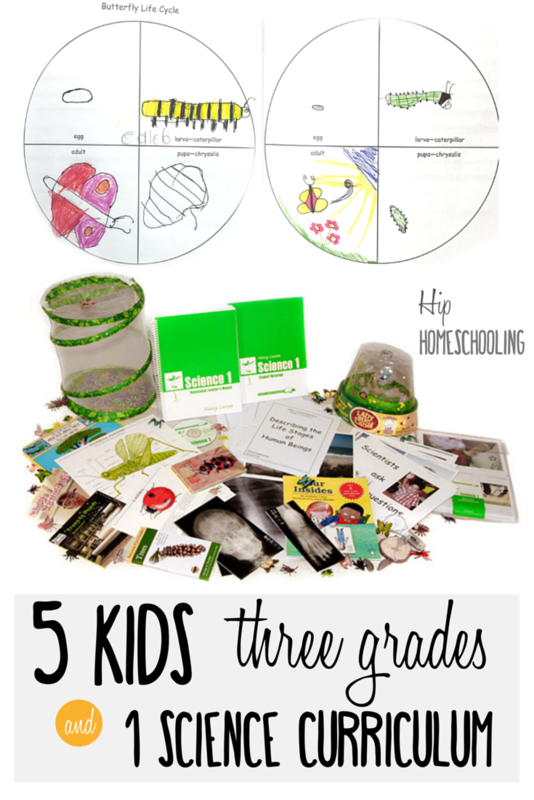 Take a look at two of their life cycle worksheets. 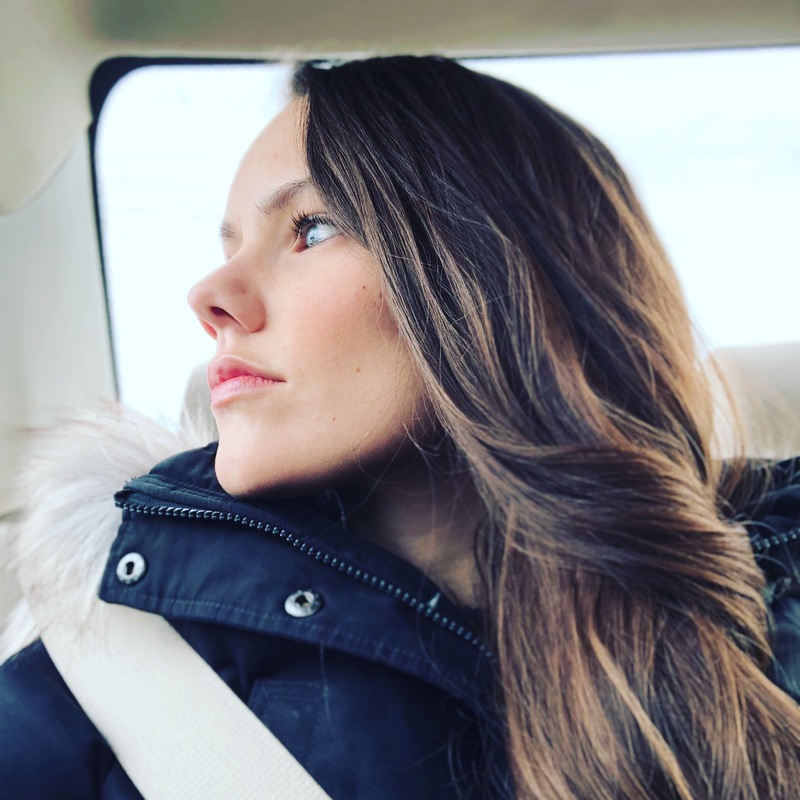 Considering Nancy Larson Science? Check them out HERE or click on the image below!